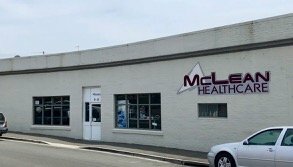 As of 2018 McLean healthcare employs sixteen Tasmanians full time, building on a strong record of service delivery and innovation in the medical and rehabilitation industry. 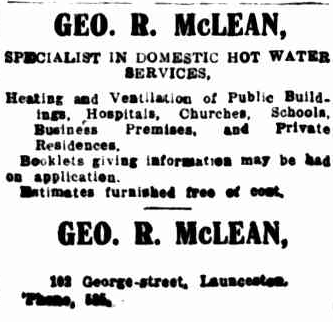 Out story begins in the early 1910s when Geo R. McLean imported the then 'new technology' of hot water systems into Tasmania. The santitary benefits lead to installations of boiler systems in hospitals in Hobart, Launceston, Wynyard and Scottsdale. The current showroom in Earl Street has been used by the McLean family since 1930. Over the years the company has received many prestigious awards – three overseas awards and two Australian awards for excellence and innovation. For the past five years McLean Healthcare has been voted in the top five performing companies in the Australia wide Country Care group of rehabilitation businesses. Over the past eight years McLean Healthcare has one of the most outstanding performers within the wider Australian Peak Care company. McLean Healthcare has a full set of policies in force and under regular review, covering ISO 9001 – 2009 accreditation, for the provision of healthcare equipment, products and services. McLean Healthcare’s core focus is to offer the best service and quickest logistic solutions. Over the past twelve months, we believe, McLean Healthcare has maintained a high client satisfaction score, by developing a good working relationship with all MAIB staff and support therapists. McLean Healthcare is justly proud of its results when it comes to service and logistics. We have a winning and unrivalled combination of quality staff, with sound and extensive product knowledge, plus having invested in technology that enables us to really deliver when it comes to customer satisfaction.